There are a number of visa options if you have got married in Thailand and now wish to stay on with your Thai wife or live with your fiancée. 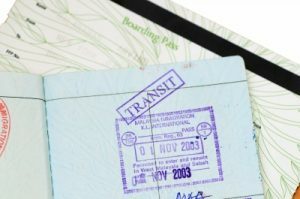 There are two main visas which expats use however these 12 month visas do not allow you to work in Thailand. If you have a Thai fiancée and you have a child then the following visa, being the Thai “O” visa also called the other visa is also an option. normally Cambodia or Singapore and apply for the 90 day Thai “O” visa. This will allow you to stay in Thailand for 90 days. Once you enter Thailand you will need to extend this visa which takes about a month to complete. You will need to show 400,000 THB in a Thai bank account or a monthly income of 40,000THB per month. This is needed if you are married or if you are here in support of your Thai child. You will need to complete the forms and show that you have had 400,000THB in your local Thai bank account for at least 3 months before applying for the visa. The Thai Embassy will also ask for the copy of your bank book to see the money before they issue you with the visa. You will also need to provide some family photos in Thailand and the birth certificate of your child if you are not married. There also need to be map to your house or condo in Thailand. Most use an attorney to do this as the red tape tends to tire people as the rules do change on a regular bases. If you are older than 50 then you can apply for a retirement visa in Thailand. This is not uncommon. Many people who retire do not wish to get married again and live with their Thai fiancée while they have a retirement visa. This is called the Thai “O-A” visa. Much like the marriage or family visa you will need to show 800,000THB in a local Thai bank account. You should speak to an attorney about this process. You will also need to show the money in a bank account and show that it has been there for at least 3 months. If you have a tourist visa you can convert a visa in Thailand without leaving the country. The attorneys normally do this and extend the visa usually as a visa package. The conversion takes about 2-3 weeks to complete. Always take sound legal advice and guidance from a lawyer in Thailand when you are not certain especially when buying a condo unit in Thailand. Property laws and retirement normally go hand in hand.